On Thursday, Gottscheer Beer Halls Stammgäste had to wait a little longer for their favorite watering hole to open for the day. Popular beer garden and event space located at Fairview Ave (corner Gates Ave) in Ridgewood was closed due to a secret sizzle reel of a possible new reality TV show about Ridgewood Market and its vendors. "It's a major TV station but we can't say which one," told us Sarah Feldman, the founder of Ridgewood Market, which she started in April 2013 to create more opportunities for artists and craftsmen of the broader Ridgewood area. 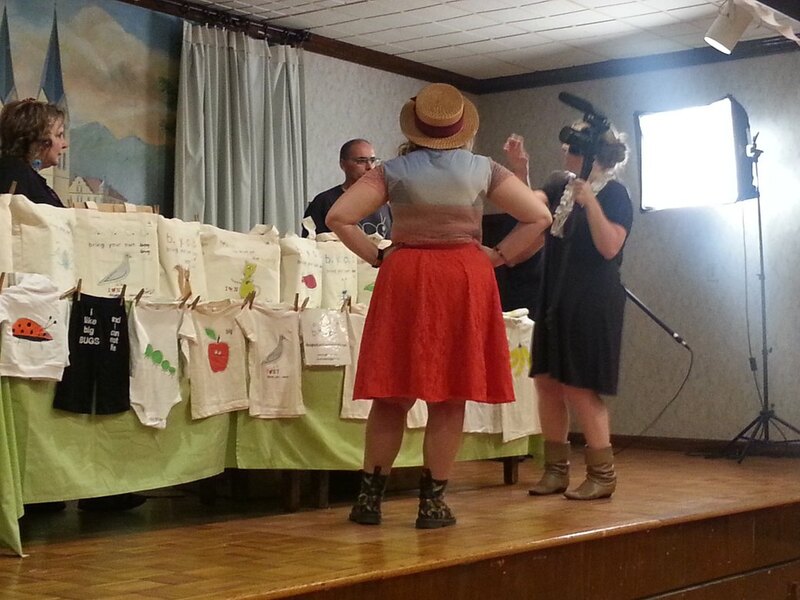 In the ballroom of Gottscheer Beer Hall was a film crew getting ready to interview the first of four participating vendors, designers and handprinters of bug-themed kids clothes and canvas bags, Bugged Out. Sarah told us that a talent scout approached her at the past Market with an idea of a reality show. Ridgewood Market did an open call for vendors who have not yet vended with them to participate at the reality show sizzle reel. "They will come and film the September market as well," said Sarah Feldman. For the sizzle reel, Sarah was instructed to interview the vendors about their products, their mission and even to give them a critique on their displayed goods. We shall see if Ridgewood Market is dramatic enough for a reality TV. 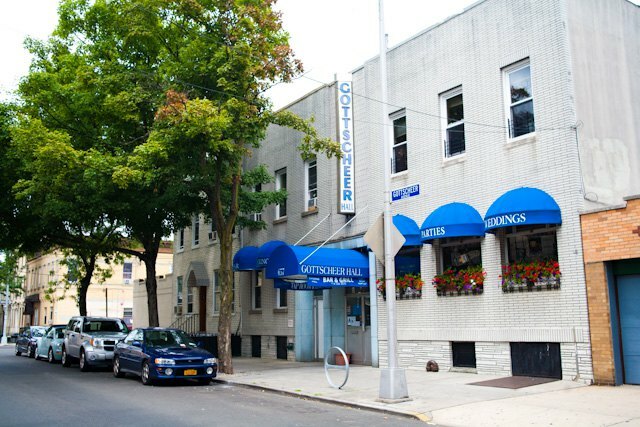 If yes, Gottscheer Beer Hall where the market regularly takes place, should see even higher profit that they happily announced to Queens Courier earlier this month after they nearly closed in 2012.